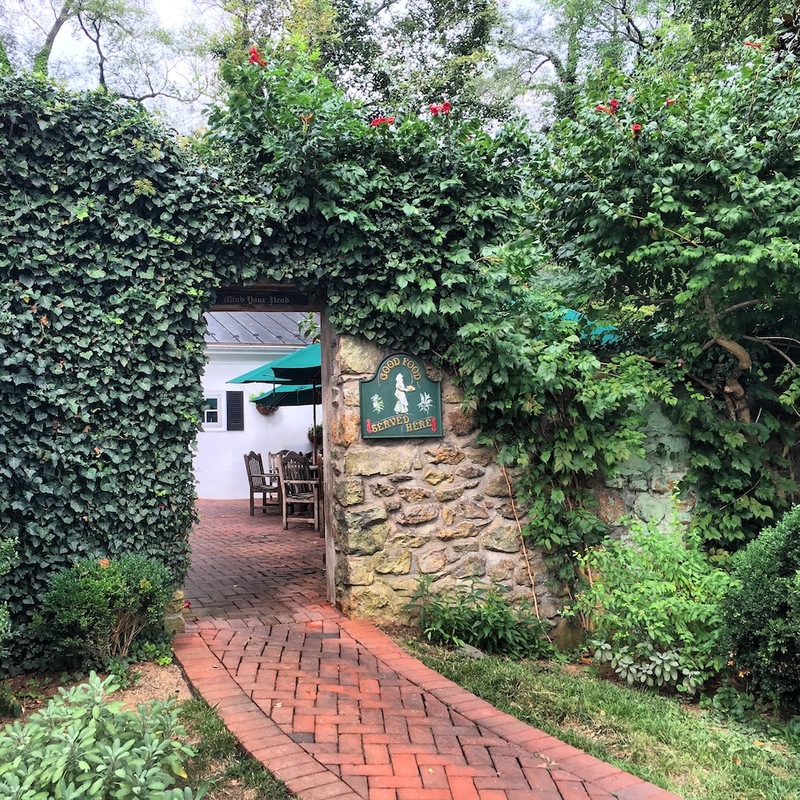 You'll find Hunter's Head Tavern in the sleepy village of Upperville, at the end a brick path through a stately stone arch covered with ivy, several miles down the road from Delaplane Cellars winery and the Ashby Inn and Restaurant in the heart of the best of Virginia wine country. Step through the door and feel you've slipped into a long time past in an authentic English Pub -- a true tavern in a house built around 1750 -- that's laced top to bottom with rustic sophistication. 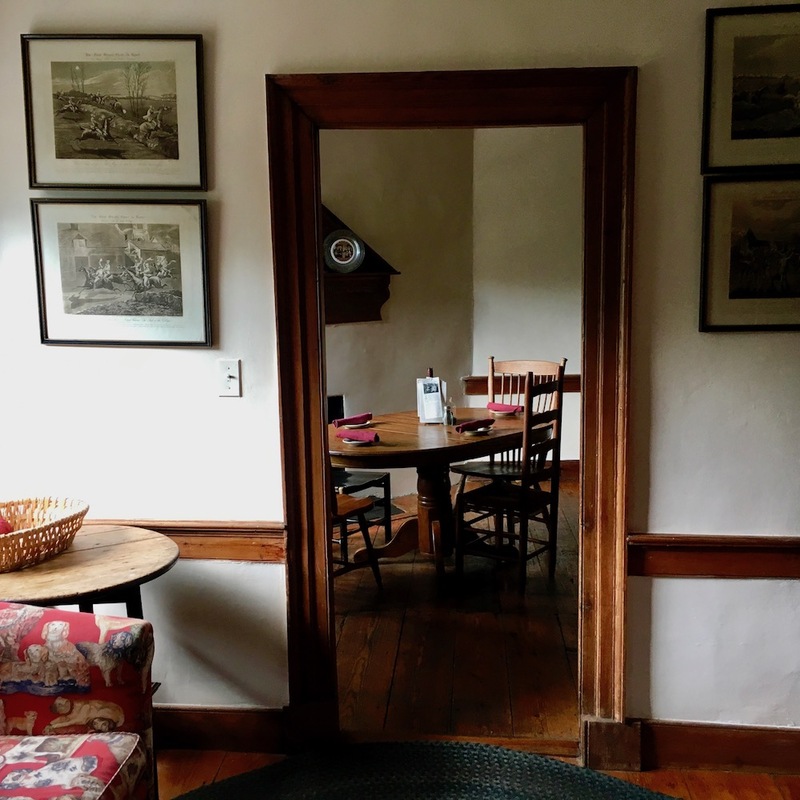 Old plank floors, fireplaces, exposed beams, farmhouse tables, and wooden chairs of which no two seam to be alike convey a homey sense of somewhere far away. It feels downright Downton Abbey... like you're stepping out of a fox hunt. The menu features your favorites. Fish and Chips, Bangers and Mash, Chicken Pot Pie or Shepherd's Pie, and Welsh Rarebit (try this) dot the always-available pub fare menu. Brunch is outstanding. I chose the Ebelskiver (Æbleskiver in its native Danish), a none-too-healthy pancake ball that was, on this occasion, delightfully filled with apple cinnamon. Hunter's Head Tavern is an essential stop on your journey through wine country.